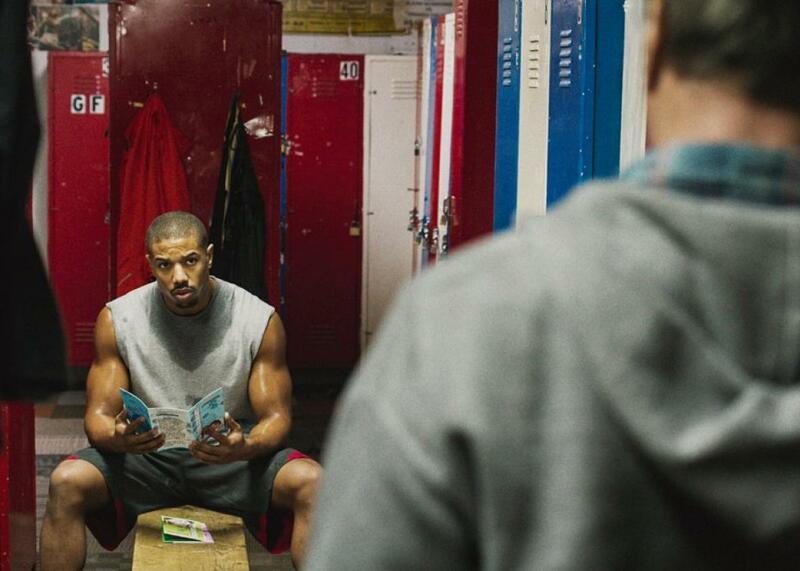 Why Creed’s Best Picture snub matters. In Creed, the struggle is not the struggle. This time two years ago, following the announcement of the 2014 Oscar nominations, I lamented the total absence of Ryan Coogler’s directorial debut, Fruitvale Station, a haunting and impressive film that found its way onto numerous year-end best lists. Today, I’m singing a familiar tune. Creed, Coogler’s breathtaking follow-up reuniting him with star Michael B. Jordan, failed to earn a Best Picture nod and was shut out of the awards almost completely. It’s frustrating because the movie is entertaining, exciting, terrifically directed and acted—and if an overindulgent, hollow frontier film can get nominated, Creed most certainly deserves to be there, too. The fact that the sole nomination for a film with a black star and a black writer-director goes to a white actor is even more frustrating, even though Sylvester Stallone deserves the nod. (Will he, at least, remember to honor Coogler and Jordan in his possible acceptance speech?) But what’s really troubling is that the academy missed out on a chance to do something it hasn’t done in more than 50 years and has really only done once: honor a film with a black protagonist that is not about the Black Struggle. In the years that followed, black-driven narratives in which racial oppression, or the systemic effects of it, are at the forefront were occasionally honored by the academy with a nomination: Sounder, The Color Purple, Driving Miss Daisy, Precious, The Help, Django Unchained, 12 Years a Slave, Selma, to name a few. (Needless to say, most of these Best Picture nominees were made by white directors, good-hearted though they might have been.) This is to say nothing of stories that are essentially about race that sideline black characters in favor of white protagonists, like Mississippi Burning or, more recently, District 9. Most such films are about black people in relation to white people, while their nominations hinge on how they make white people feel—guilty, sad, better about their own perceived views on race. Even Beasts of the Southern Wild, a Best Picture nominee with black heroes that’s least about racial oppression, depended on the dramatic and damning iconography of Hurricane Katrina for its emotional heft—and arguably earned its nomination in part based on academy members’ casting the film in their heads as a response to that tragedy. Creed is unlike any of those films. It’s not steeped in the distant past, nor are the brutal, expertly crafted fight scenes meant to stand in as a weighty metaphor for KOing racism. The journey we’re on is, in some ways, a universal one, an archetypal Hollywood story: the scrappy but talented hero seeking to carve out a legacy apart from his late father’s, to prove that he can be the best without leaning on the strength of his last name. And, oh yeah, this scrappy but talented hero is black. This isn’t to say that Creed could have starred anyone of any background; it’s hard to watch the opening scene, where we find a preteen Adonis Creed living in a juvenile detention center in which nearly every inmate is a black kid, without thinking about the country’s prison-industrial complex. And the carefully crafted specificity with which Coogler and co-writer Aaron Covington approach the script—from the Philadelphia slang to the affectionate nod to black dirt-biker culture prominent in more impoverished Philly neighborhoods—is a large part of the film’s appeal. But Creed isn’t about race in the way that other past Best Picture nominees have been. The movie is about a struggle. It’s just not about the struggle. The one time the academy has strayed from this oppression-loving pattern was in 1964, when it nominated Lilies of the Field. In it, Sidney Poitier’s handy drifter forges a relationship with a group of German nuns and helps them construct a new chapel; it’s hardly even about a struggle—it’s a benign, heartwarming kind of film and, Poitier’s history-making Best Actor win aside, hardly memorable. That was more than a half-century ago. And thus, Creed’s nomination could have been both deserved and meaningful. Its recognition could have signaled that more movies featuring original characters and narratives, even ones spun off from franchises like Creed, will get greenlit. Look, biopics and history lessons are fine, but I’ve long tired of Hollywood’s vision of the struggle as the only marketable narrative for black folks. I groaned at both the terrible double-entendre title and the trailer for Race, the inevitable big screen treatment of the life of Jesse Owens, and like Jezebel’s Kara Brown, I’m not too keen on seeing Chadwick Boseman play “every famous black man ever.” The academy doesn’t know it yet, but Creed is clear proof: A story can be emotionally rich, powerful, and undeniably black—even if it doesn’t center on injustice.